Is Docs.com On The Chopping Block? The recent KIN debacle and job cut offs means interesting gossip on Mini Microsoft, a blog run by an anonymous Microsoft employee. The blog has been quite accurate over the years but given the anonymity of the author and the commenters, whatever is said cannot be verified. Most of the comments on the latest post are rants about KIN and Microsoft’s mid-level management. However a few comments, two to be specific talk about Office Web Apps’ Facebook application – Docs.com. 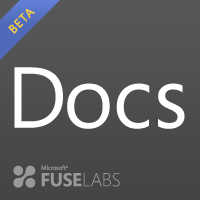 The comments say that the Office team isn’t too pleased with FUSE Labs (the division behind Docs.com) and that Docs.com might be discontinued. What is with the following post on docs.com? “if all goes well, we will keep the service open“? That sounds stupid and ominous. In this post, they are just talking about how unstable the service is. The original version was built on some sort of frankenstein’s monster of Sharepoint for WAC rendering and regular web servers. The initial quote of the service remaining open seems to be from an internal blog. As of now Docs.com has over 13,000 fans on Facebook. While Docs.com did in fact generate a lot of buzz for Office Web Apps, the service isn’t exactly widely used. If Docs.com is shut down, the explanation given would be that it was an experiment and is now being discontinued. Duh!